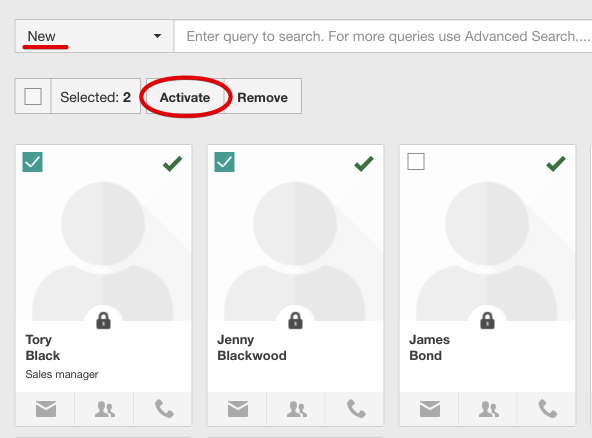 What is Activation mode? How to activate a new user? When creating a new user or importing a bunch of those it is obligatory to set an activation mode. Activate later - this mode is set by default and suppose that the user will have status NEW in gallery and will be activated manually later at any time by company admin. Apart from that his activation can be scheduled on a certain date(if you don't know it yet) later in settings. Activate now - user s activated right away and will be visible in gallery as ACTIVE. 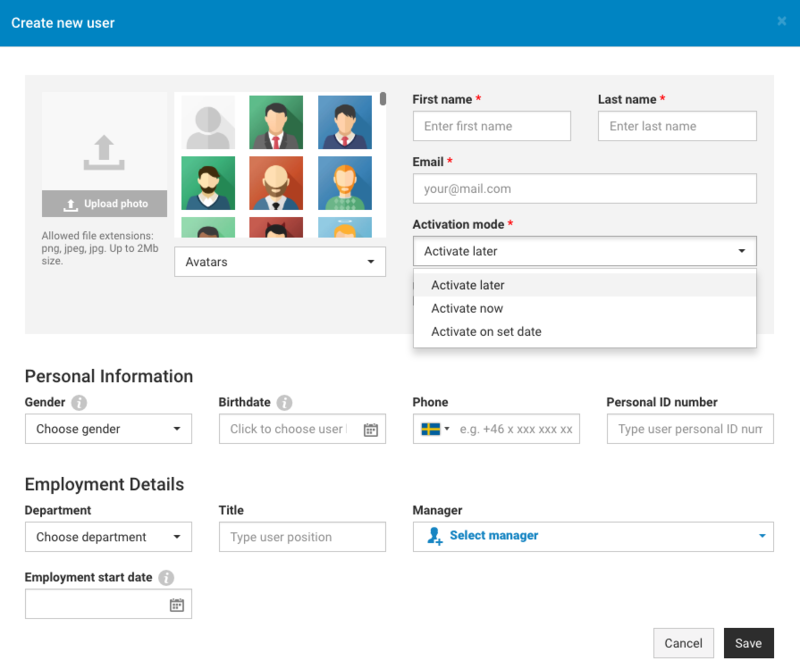 Activate on set date - this option is for the case when you know exactly the date when the new employee starts his employment and he has his account activated automatically on the date you set. When a new user is ready to be activated, select his card using checkbox in the top left corner. You can select several users or all at once. Click on Activate button that appeared at the top of the list to make all users activated. All activated users will receive an activation email with instruction on how to log into the system. 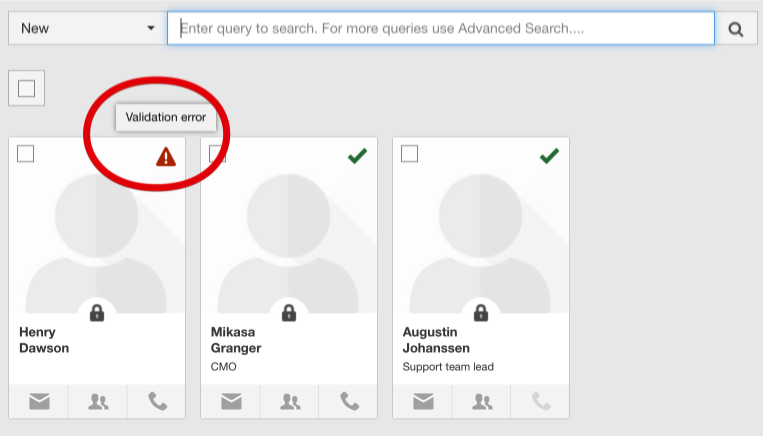 In case there is a new user with validation error (can happen if you import) in their information, click on user's card to view errors list and adjust info.